Located in the heart of the City of London (the British capital’s main financial district), 30 St Mary Axe was built on the site of the Baltic Exchange, an iconic structure which used to be the center of a global marketplace for ship sales and shipping information. 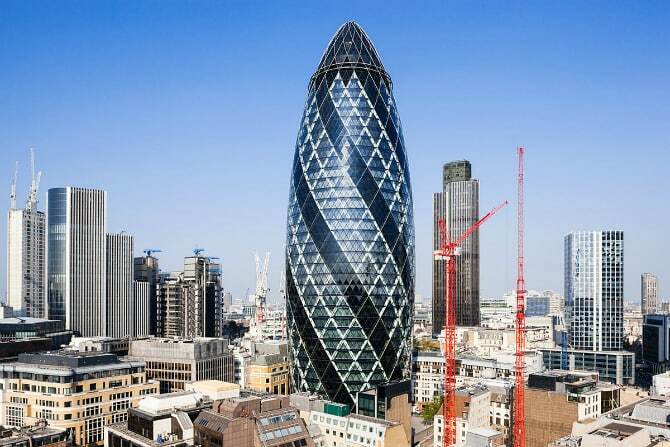 Over a decade after its completion, 30 St Mary Axe has now become a London icon itself, and has come to be affectionately referred to by locals as the Gherkin, due to its unusual shape resembling a pickled cucumber. Considered one of the best skyscrapers completed in 2011, the F&F Tower is one of the most distinctive structures in Panama City. And it’s not just due to its size! 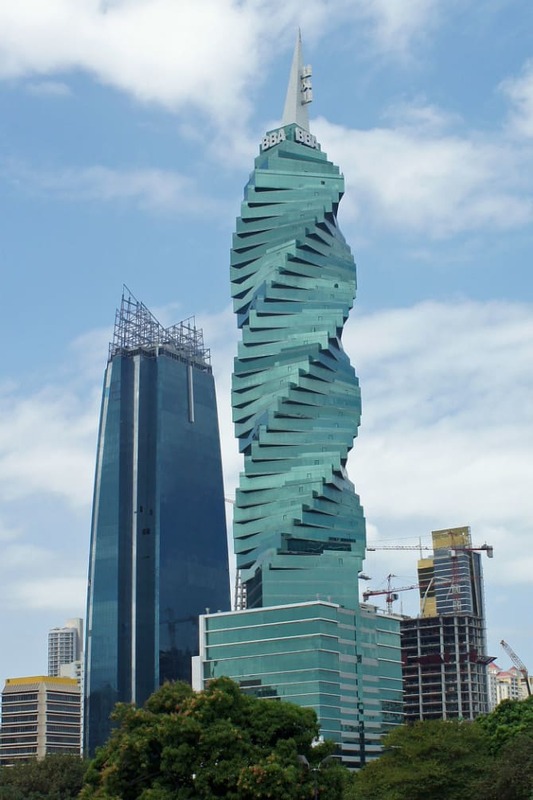 The nearly 800-foot (over 240 meter) office building, previously known as the Revolution Tower, is painted in various shades of green, and is what’s known as a twistscraper – a skyscraper with an unusual, spiral shape. Chicago is famous for its many skyscrapers and in fact for pioneering the construction of unusually tall structures 150 years ago. 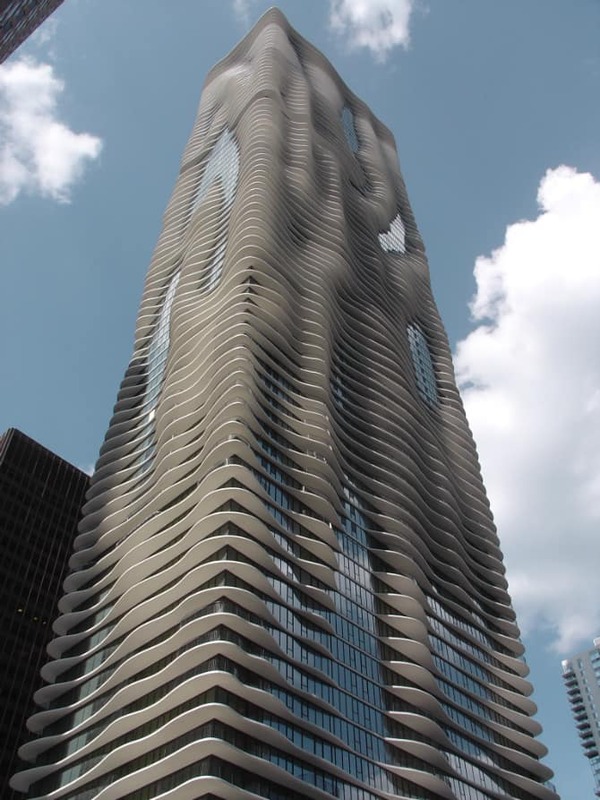 Today, the Windy City boasts a plethora of very impressive buildings, like the eye-catching Aqua. Its balconies, which stretch outward as much as 12 feet (3.7 meters), give the tower’s façade an irregular appearance, making it look like a huge sculpture of sorts from afar. Located in the northwestern part of Stockholm, the Scandic Victoria Tower is the tallest hotel in the Swedish capital, as well the tallest hotel in Scandinavia, and a very remarkable structure in a part of the world which is otherwise quite unostentatious. 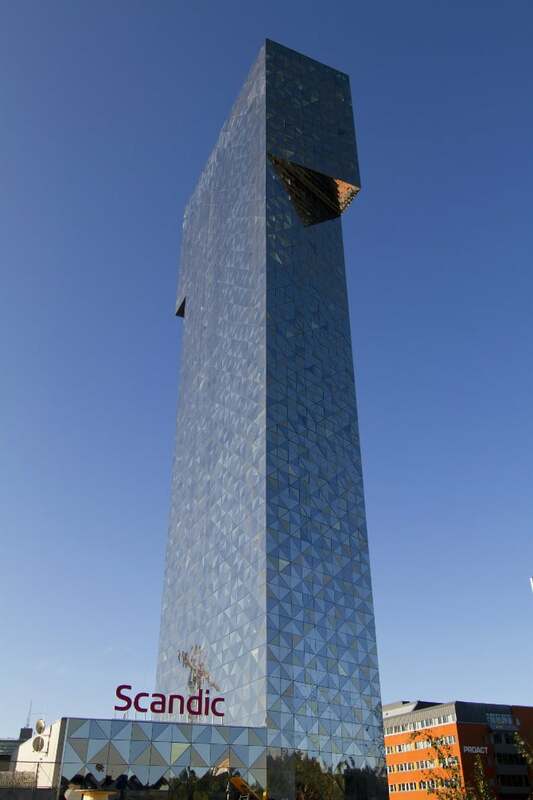 The glass-clad tower features triangular windows forming a distinctive pattern, and also has an unusual “hammerhead” design, which makes it even more unusual. Completed back in 1990, the Messeturm (which means Trade Fair Tower in German) is one of the older structures on our list, which shows just how many amazing skyscrapers have been built in the past couple of decades. Nevertheless, this huge office building, located in the center of Frankfurt, remains one of the city’s most prominent landmarks, even after being surpassed in height (by just a few feet) by the Commerzbank Tower. Interestingly enough, it’s also one of the few buildings in the country to have its very own postal code. Many skyscrapers are named after the company or entity which financed its construction, which is fine, because these things cost a lot! 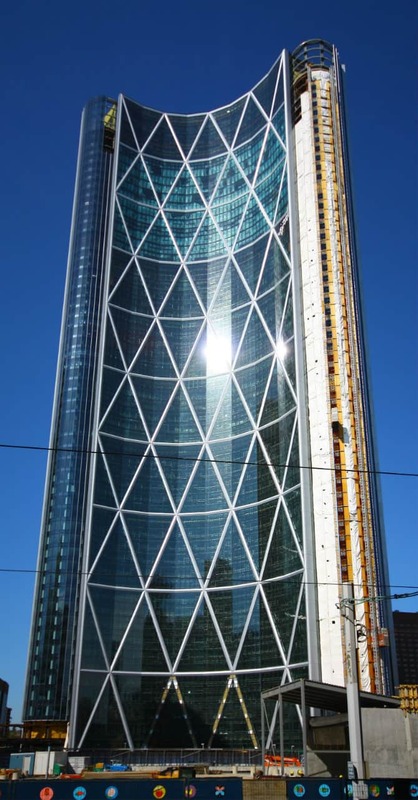 But it’s much more interesting when the buildings get a more descriptive name, like The Bow, an awesome-looking tower in Calgary, Alberta. The tallest office building in Canada outside of Toronto, it overlooks the Bow River, but also dominates the Calgary skyline with its very distinctive crescent shape. 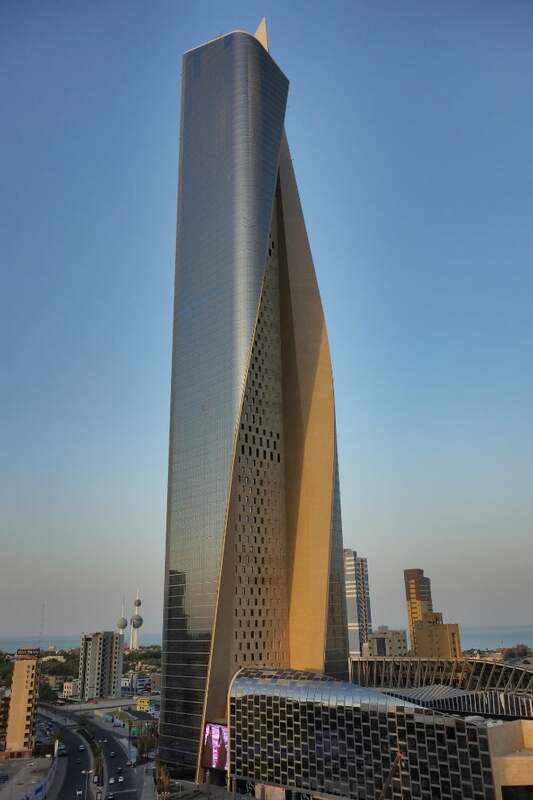 Standing as the tallest building in Kuwait, the Al Hamra Tower is a stunning sight, and not just due to its scale. Named one the best inventions of 2011 (the year of its completion) by TIME magazine, the structure features an asymmetric design (reminiscent of the traditional robes worn by Kuwaitis) which maximizes views of the Arabian Gulf, while also minimizing solar heat. 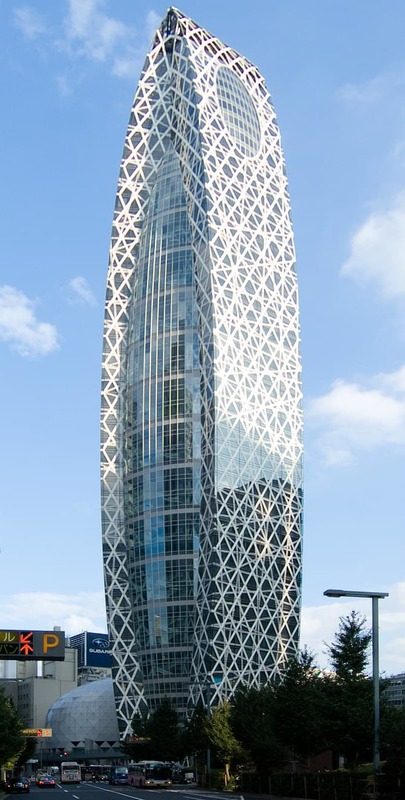 We are used to thinking of skyscrapers as either residential or office buildings, but Tokyo’s Mode Gakuen Cocoon Tower is special in that it’s actually an educational facility. Though it is not even among the top ten tallest towers in the Japanese capital, it is certainly one of the more eye-catching. The home of three educational institutions, it is, on the other hand, one of the tallest buildings of its kind in the world. 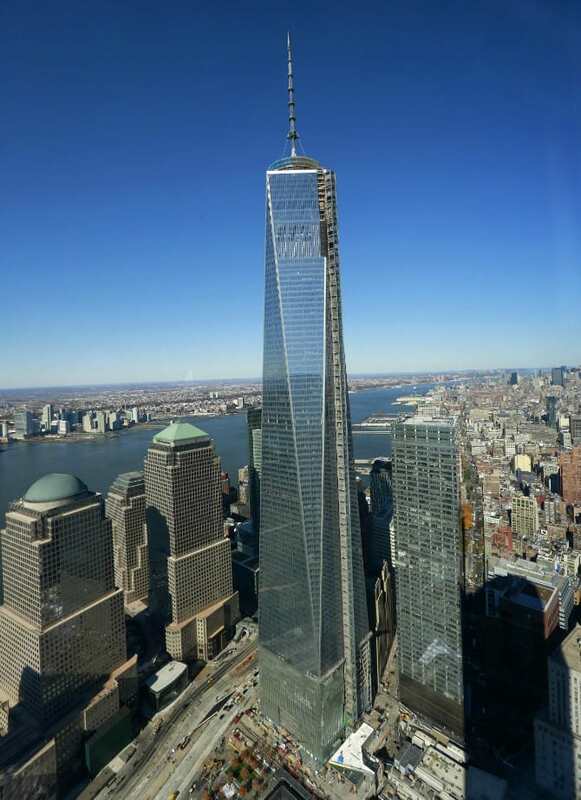 Built near the site where New York’s iconic Twin Towers stood, One World Trade Center is an awesome sight. By far the tallest skyscraper in the Western Hemisphere, and one of the five tallest on the planet, it dominates Manhattan’s already impressive skyline. Like many modern structures, it contains multiple sustainable architecture features, which also makes it one of the most environmentally friendly skyscrapers in the world. 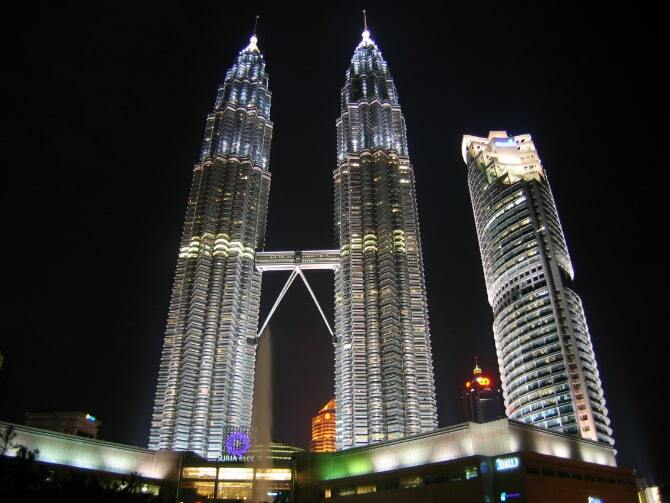 A symbol of the Malaysian capital of Kuala Lumpur, the twin Petronas Towers used to share the distinction of being the world’s tallest building (between 1998 and 2006), until finally being surpassed by Taipei 101. 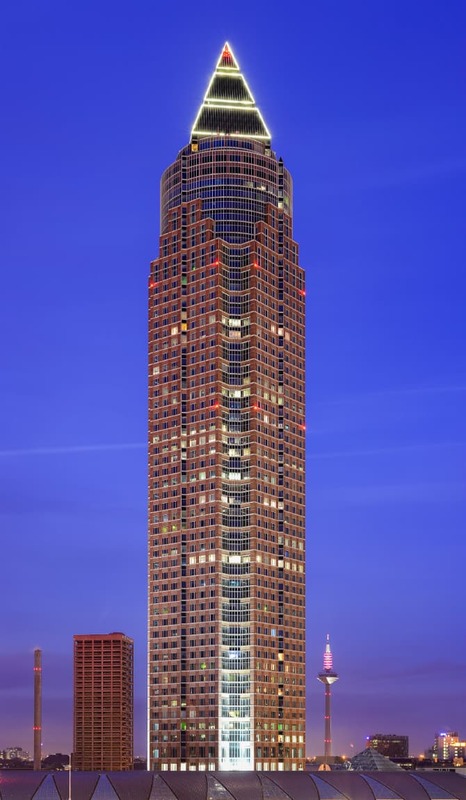 The structures are built high-strength reinforced concrete, as a more economical alternative to steel, and are connected by a skybridge on the 41st and 42nd floors – the highest 2-story bridge in the world. 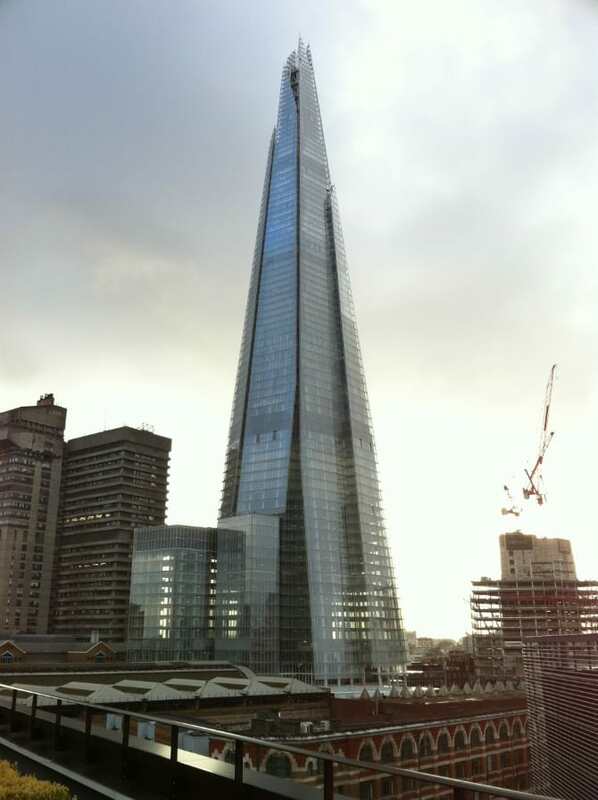 Soaring 309 meters (1,014 ft) above the London skyline, The Shard is the tallest building in Britain, as well as the European Union – by quite a margin. The highly distinctive glass-clad pyramidal tower dominates the city’s skyline and is already one of its most emblematic structures. 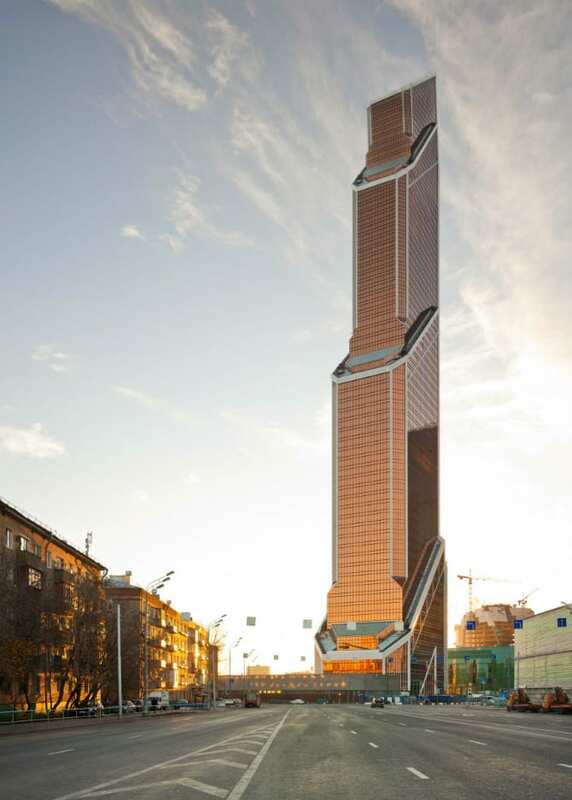 Part of Moscow’s ultra-modern International Business Center, the 1,100 foot (330 meter) high Mercury City Tower is the tallest structure in Europe. The new development in the Russian capital also features a handful of other sizeable buildings, yet Mercury City Tower stands out not only thanks to greater scale, but also due to its very distinctive orange colored façade. 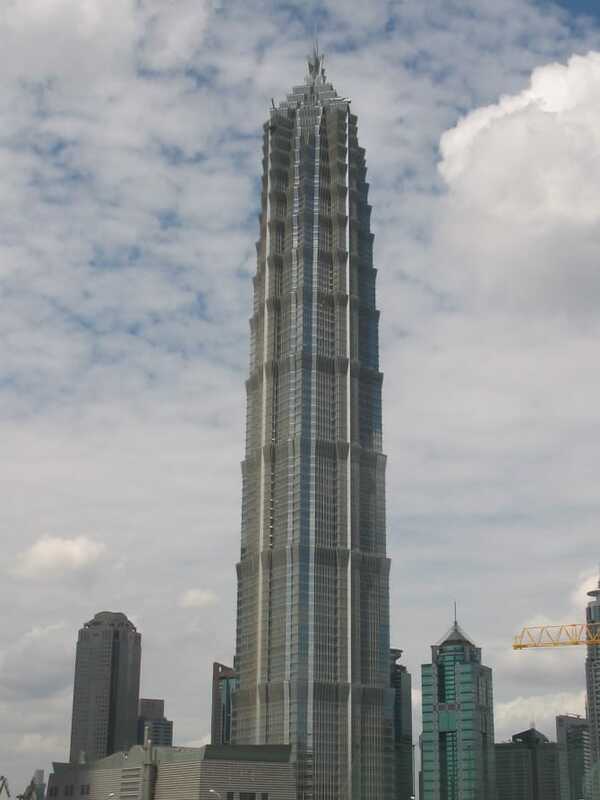 Another gigantic building like many that have sprung up in the Eastern Hemisphere, Jin Mao Tower used to be the tallest building in China, until being surpassed by the nearby Shanghai World Financial Center. Together with the Shanghai Tower, the trio will form the world’s first grouping of supertall skyscrapers, which will undoubtedly be an awe-inspiring sight. Though the smallest of the three, Jin Mao Tower is arguably the best-looking, with its tiered pagoda-style appearance contrasting with the smooth, futuristic exterior of its siblings. 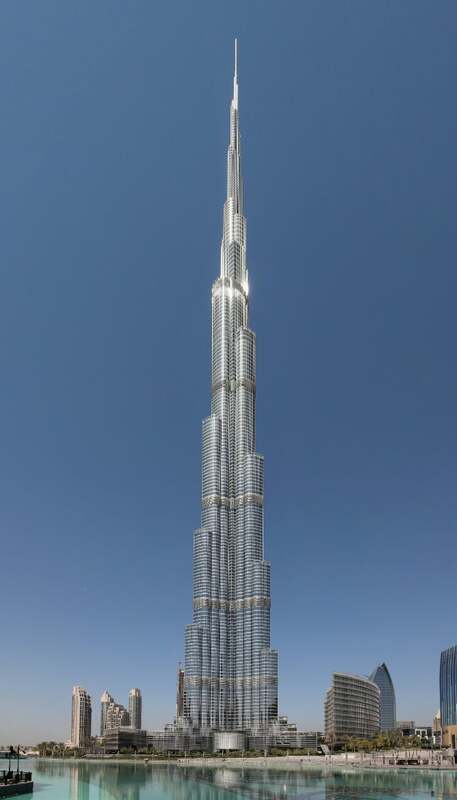 You cannot talk about skyscrapers without mentioning the marvel that is Dubai’s Burj Khalifa. Standing at an incredible 2,722 feet (829.8 meters), this contemporary wonder of the world is the tallest artificial structure ever built, and was designed to raise the profile of the Emirati metropolis – a feat it has definitely accomplished. Completed in 2004, Taipei 101 is an architectural masterpiece and was the largest building in the world until the opening of Burj Khalifa in 2010. The 509 meter skyscraper features eight distinct elements giving the structure the semblance of a pagoda, and is steeped in symbolism, from the design to the significance of its numbers. 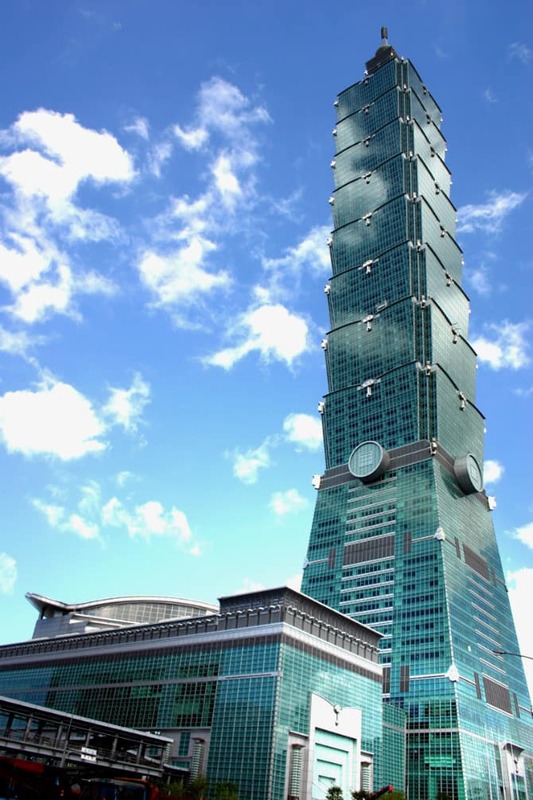 Also, Taipei 101 is designed to withstand typhoons and earthquakes, and boasts LEED Platinum certification, making it the tallest and largest green building in the world.